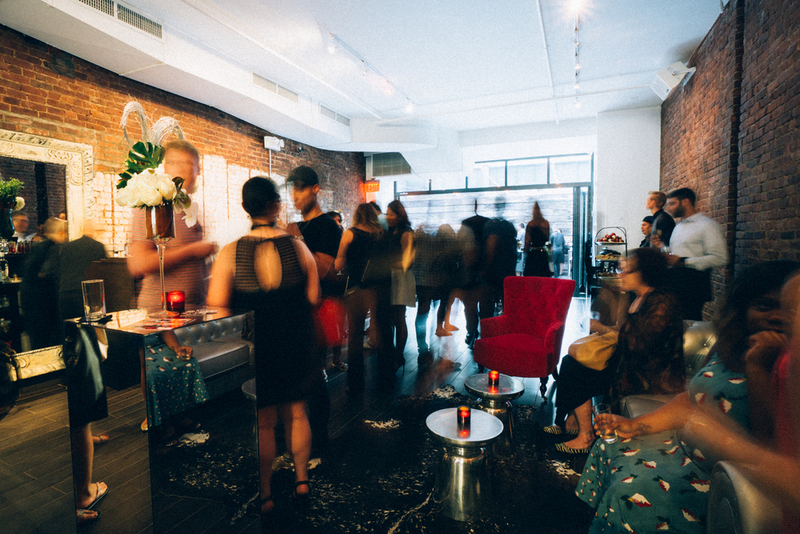 Located in the heart of Chelsea’s Fine Arts District, 287 Gallery is an industrial chic raw event space available for private parties, photo shoots, meetings, retail pop-up locations, and art exhibitions. Industrial chic and fully customizable with exposed brick walls, 12 foot ceilings, curtained storefront for exposure or full privacy, retractable glass doors that open up to private backyard visible from The Highline. Available for day and evening bookings. Ideal blank canvas for art exhibitions, product launches, pop-up retail boutiques, meetings, photo shoots, cocktail receptions, and more. Can also be used as an auxiliary space when booking Marquee Nightclub, located directly next door and connected via a removable vestibule. We offer in-house event planning and catering services. Please contact us for pricing and details.